NAN TONG SIDEFU TEXTILE DECORATION CO.LTD. THAT THE "COTTON-MADE PRODUCT,SILK FEEING "HAS FIRMLY ESTABLISHED THE POSITION OF " A FAMILY OF TEXTILE DECORATION TRADITION"
Sidefu, the originator of delicate textile decoration manufacturer in China, is selected as “the most investable home textile brand in China” by the global famous institution Glebors. Sidefu is the “Top one brand of textile product in Chinese hotel industry” and is the first textile company to obtain the ISO9001 on quality control system and ISO14001 on environment management system, well-known to the world by its high quality. “Cotton-made product, silk feeling” has assured the “position of a family of textile decoration tradition”. Ming Fai Industrial ( Shenzhen ) Co., Ltd.
With over 20 years efforts, series products used in hotel, airline and tourism produced by Ming Fai Industrial gradually stands out and Ming Fai Industrial ( Shenzhen ) Co., Ltd. turns to be a leading and comprehensive supplier. Innovative spirit is Ming Fai’s basic development theory. Ming Fai Industrial ( Shenzhen ) Co., Ltd. Invests 1million USD in upgrading equipment and technology, in the meanwhile, actively bring in, train top standard technique staff members and continuously increase the diversity of its products to meet customers’ requirements. Later on, Ming Fai Industrial ( Shenzhen ) Co., Ltd. Will continuously strengthen its leading role in industry and make every effort to achieve great success. SHENZHEN HENG AN XING INDUSTRIAL CO.LTD. Heng An Xing is a famous integrated textile manufacturer for hotels in China. Since the day of foundation, it is committing to the exploration, research, and production and sale businesses on supreme deluxe hotel-use textiles worldly. Presently, up to 70% opening top-class hotels is applying the textiles made by Heng An Xing. Relied on the considerable sale net and high quality customer groups, it has set up exclusively-invested branches in Beijing, Shanghai, Changsha and Chengdu. ZHENGZHOU HUADE MUTUAL BENEFIT CARPET CO.LTD. A GREEN REPUTATION "CHINA ENVIRONMENTAL-PROTECTION CARPET"
HuaDe Carpet Co., Ltd is the one of largest machine-made carpet manufacturers, the vice-president unit of China industrial arts association carpet committee, and one of the national members of China Carpet Standards Committee for drafting the book named “Tufting carpet”. All the products of HuaDe have been certified with the ISO9001 international quality control system and rewarded as “China environmental-protection carpet”, “Award of green product” and “He Nan Province famous brand” and so on. A MODERN HOTEL LINEN MANUFACTURER SEEING THE QUALITY AS LIFE. Founded in 1994, Jiang Su Canasin Weaving Co. Ltd are certified with various ISO quality control system and its annual sales volume ranks No. 1 in five year consecutively, which makes it the largest hotel linen manufacturer in the domestic market. Carnation is not only a famous trade mark in Jiang Su province, but also an “AAA” grade trustworthy enterprise. FOSHAN NANZHUANG HENG AN FIBER WEAVING CO.LTD. 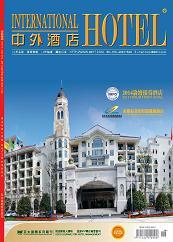 A HONG KONG FUNDED DOUBLE EXCELLENT ENTERPRISE SERVING CHINESE HOTEL INDUSTRY FOR 30 YEARS . NanZhuang Heng An Fiber Weaving factory is a Hong Kong funded enterprise with 30 year experience. It is a resourceful rich enterprise that owns the most advanced weaving equipment for various fibers and the perfect product line for the series product of weaving decoration. It is the first company to pass the attestation of ISO9001 quality control system in this industry and wins a lot reputation from many double excellent enterprises on the Mainland, Hong Kong, Macau and Taiwan. Since its establishment ten years ago, Guangzhou BaiJiaYang Clothing Limited has been devoting in the designing uniform for four-star and five-star hotels, achieving the goal of designing and manufacturing the integrated, simple, classical and fashionable uniform for the hotels. It has made great achievement and now is the only design base of World Golden Key Hotel Union in China, gaining trust and appraise from a lot of hotels. BITTEL Electronical Ltd. Company Shandong owns 18-year experiences on telecommunication product research and manufacture. It is an enterprise with the national brand embracing global supply chain of professional hotel-use phone and has got into world top three hotel-use phone brands. It has established long-term cooperation relationship with world over 30 international hotel groups distributed developed tourism countries and regions. Kirisun is in the precession of advanced management system, enormous capital, primary research force, refined instrument. In 2005, Community interphone and turn-table were on sale, which made it a leading company producing community interphone in the world and symbolized Kirisun company had reached a new altitude. So far it has borne the ability of competing with other telecommunication enterprises worldwide. An international group with 30-year history, undergoing 16-year endeavors and consecutive dedication and introducing complete set of huge-scale digital control equipments from Germany and Italy, represents world-class advanced level. In 2002, it introduced ISO9001 of quality administration system and ISO14001 of environment administration system in agreement with world quality standard, and merged the guideline saying that “Advanced Quality, Optimal Service, and Constant Innovation” into the delicacies of products exploration and manufacture and after service.